Splatoon was a bit of a risk for Nintendo - it was a new IP in a genre that the company has little experience in. However, the title has proven to be a sizeable critical and commercial smash hit all over the world, repaying Nintendo's faith in a young and creative development team. We were lucky enough to sit down with Splatoon co-director Tsubasa Sakaguchi recently to talk about the title, its development, its evolution and his own personal approach to playing it. Apologies in advance for the rather inconsistent sound quality - the interview was conducted on a hot and balmy day in central London, so noisy air conditioning units and open windows played havoc with our recording equipment. Assuming you can hear what's going on, check out the full interview and let us know what you think of Sakaguchi's comments by posting your own personal thoughts below. Could you post a text transcript of the interview? You know, considering how the audio recording turned out and all, I'm willing to bet some of us might appreciate it. So THAT'S what Ryan was so giddy over! @ThomasBW84 Ah, I was hoping that I could just read through the interview, oh well. I'll have to wait until tomorrow morning to watch it. I wonder what'll happen if you end up getting Iwata himself to come over for an interview. I'd prefer text as well. Can't watch that now and tbh I may forget to watch it later. Text is always preferred. @Nintenjoe64 I really don't think longer battles would do anything. It always seems to either a come down to the last 30 seconds or b one team has the other so pinned down the match just needs to end. The ranked battles seems plenty long enough. Nice to see some young blood at Nintendo! I'm on the wanting to read instead of watch boat. This reminds me, I haven't played Splatoon in a while. I don't think the battles need to be longer either. They're pretty much the perfect length for the way the game is set up now; however, if they ever added local multiplayer in a future edition, I'd like to be able to customize how long I play with friends, which mode we play in, and which stage we play on. @Spoony_Tech I agree with you that with its current features the game length is just right but if they added more modes and more options I don't think they should all be short. Well they deserve a hell of a lot of credit, most fun Nintendo developed game I've played since Galaxy 2, heck probably most fun I've had in general in a game since then. This is such a great game, despite a few (debatable) missteps. Any sequel is a guaranteed buy for me. I will fifth or sixth the request for a text interview, I can't watch this on phone or at work easily. @Nintenjoe64 Longer battles? Hell no! They struck the perfect spot in my opinion: it's always long enough to be fun, but short enough that I want to immediately start another round. I hope they are ready if wii u modding even becomes a thing. I don't want to see this turn into another MKW with hackers everywhere. He looks like th boy inkling! Sakaguchi looks like he is in his late teens/early 20's...hardly old enough to buy himself a drink. @luke17 I think he's in his 30's though - the clothing in Splatoon is meant to reflect 90's fashion, which is when he grew up. The funny thing is that some of that fashion has come back. I think Nintendo is using Splatoon for a lot of gaming psychological experiments. It's absolute genius and a lot smarter than some reviewers give it credit for. Constantly introducing new surprises keeps the game fresh. It has a delightful and unique social aspect. My only grumble is I wished it had a 1 on 1 turf war option in the dojo. Come to think of it having the balloon mode online would be fun too. Wii U's signature title imo. I think we need a 5 player death match mode. Sakaguchi has the same favorite weapon as me! While I love trying out other weapons to see what their features are, I always come back to the Jet Squelcher. It has a fantastic range meaning you can cover a lot of area without being seen, you can take out enemies at from a distance and it has a great special weapon in the Inkstrike. @scottp999 You should take a nap; you sound tired. Or maybe exhausted from playing Splatoon? I'm new here, but I'm currently working on a transcript for this interview. Will post it by the end of today! Nice to see that Splatoon was a success and Nintendo really seems committed to it. I love Splatoon and I was interested in it from the moment I heard about it. It has lived up to the hype, and is just fun to play. Nintendo needs to realize that thinking outside the box can work in their favor! Also, obviously the next game needs to have more customization. For one, i dont care for the boy pony tail. They as well need to have more selections at a given time in the shops. As far as gameplay I have no complaints, three min matches work for me and to me any longer would be overkill. Though having options for those who do want it could work. Cool, that was a good watch. I'll disagree with his views on slowly releasing content instead of having more at the start, but I'll agree with the rest of it. Hopefully there'll be more Splatoon games in the future. I would definitely buy Squid Sisters amiibo! I also like transcripts. I'm often in situations where I'm in public but not talking to anybody, and watching something with sound would be disruptive to people around me. A video is only useful if I can just listen to it in the background, and with this video, I have to read the translation anyway. @ULTRA-64, It might also be good to add a couple players on each team, too, so it's not so empty. @Toadthefox The main reason for lack of current customization is because Nintendo wanted to firmly showcase the true form of the inklings. According to their interview, they wanted to at least in the first game limit their customization, so people can remember and know the original inklings and they can stick better as characters. Agreed. Love what this guy has to say as simple as it is most of the time but his attitude is great and, well, he helped make an awesome game. The fact that they pulled off an online game running this smoothly as a worldwide networked game with really not a huge user base. They had to make some difficult and unpopular decisions about how to unroll it all and how to set up games, but man, it's just great fun. I hear my kids playing right now. @sunalle Welcome! I look forward to seeing you around! A 2 player online mode like in mk8 would be awesome. I just got off from a 6 hour Splatoon session. This games addictive like crack! Seriously, I was going to stop after 3 hours but the "just one more round" temptation was overwhelming!! Awesome interview! The interviewer even got to verse the co-director in a match of Splatoon & he gave some good tips as well. What an awesome game Splatoon is! Can't wait to buy the amiibo & make it even better. So good! It's a brilliant game that I suspect will join Mario Kart and Smash as a once a console gen hit. I'm hoping it's success gives Nintendo the push it needs to try new genres. My take away from splatoon is how fair it is. Things like no voice chat and no custom classes sound bad but in practice it ensures everyone is on an Even playing field. @sunalle Thanks so much for that transcript! Read the whole thing. They'll really be missing out if the next game isn't called Spla2n. Despise video interviews. What a waste. I really liked the interview. Got a good look at the personality of the Co-director this way and he seems to be an awesome guy. @ACK Have you checked out the transcript I did above? Great interview with many good questions. I liked how carefully he avoided the question about single player mechanics appearing on future multiplayer stages. Did he really say "thinkling"? I've been having a blast with Splatoon since launch, hopefully the NX sequel will be even better. @sunalle Yes, you are a godsend. It's the readers that make places like this worth visiting. Thanks. @jariw Thank you! And yeah... That was one of the questions I really wanted a great answer for. But he didn't say no so fingers crossed! @RyanCraddock I interpreted the response almost as a confirmation that more singleplayer mechanics will appear in future multiplayer stages. After all, Moray Towers introduces steep vertical traversal jumps that were only found in single player mode before. @jariw A very good point. And I actually agree with you that it feels like a confirmation. I hope so - ranked battles involving sponges just seem like they'd be monstrous. Which is a good thing! Those 3 men who created Splatoon seem awesome, and it's great to see some younger mentality at Nintendo. There was one small problem with this interview. It left really wanting to play Splatoon. Wait, that's a good thing... Nevermind, as you were. @TheWPCTraveler This comment now makes me feel sad. I know a lot of people want more customization options for the Inkling's appearance, but the fact they don't do that is precisely because this is a brand new IP. They need all the Inklings to have some similar features (such as hairstyle) and all look kinda similar to help press in people's mind's what Inklings and Octolings look like for brand identity. Once that's done, then you could expect new Splatoon games in the future to have more customization options. 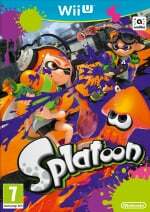 Though, I would love to see a more extensive singleplayer campaign or possibly an online-co-op campaign, and I do agree with others here that the ability to switch weapons between battles would be nice, I think right now, Splatoon offers plenty of customization considering that they are still trying to solidify the image of the brand and it's mascots.